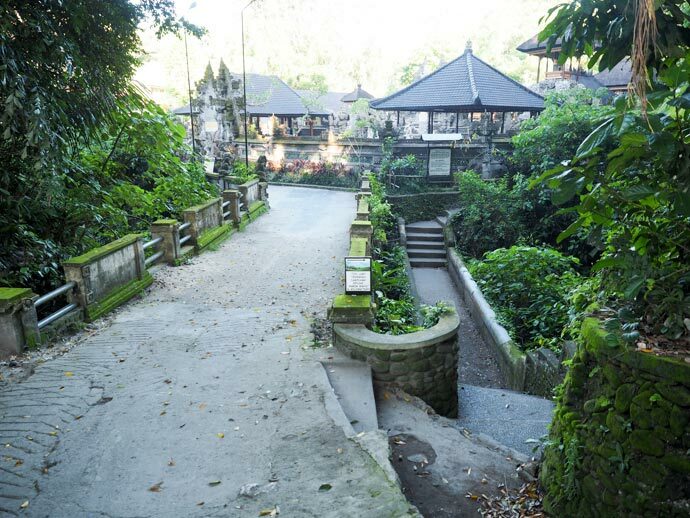 When in Ubud there are many fantastic things to do. There are some really nice walks, be it through the village, through rice fields or just a beautiful nature walk. 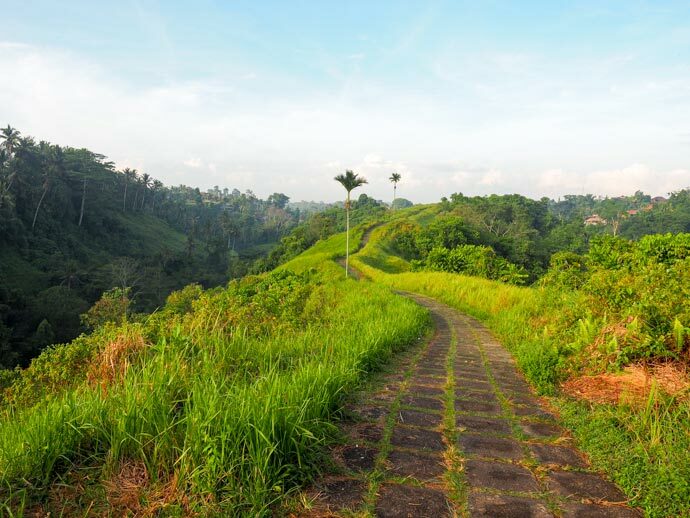 The Campuhan Ridge walk is definitely at the top of the list of must do walks when in Ubud. It is a beautiful walk which is filled with greenery and hills. More of a jungle or forest walk and if you wanted to only see rice fields and terraces there are other walks you can do. 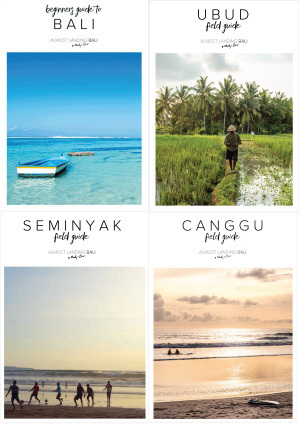 See our Ubud field guide to plan the best trip to Ubud. This is a beautiful paved walk along the Campuhan ridge. 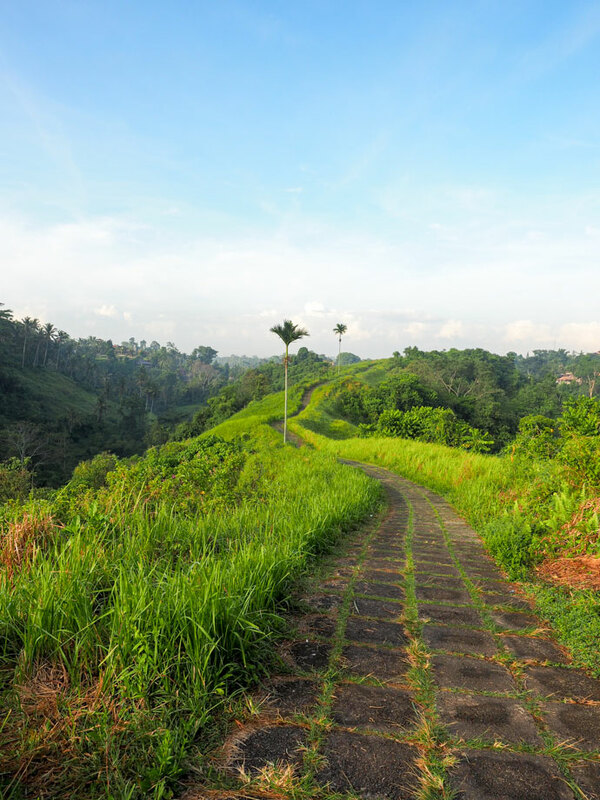 This walk definitely showcases the natural side to Ubud. Many trees and hills, the Campuhan Ridge Walk has the scenery of a jungle or forest rather than that of rice terraces and fields. 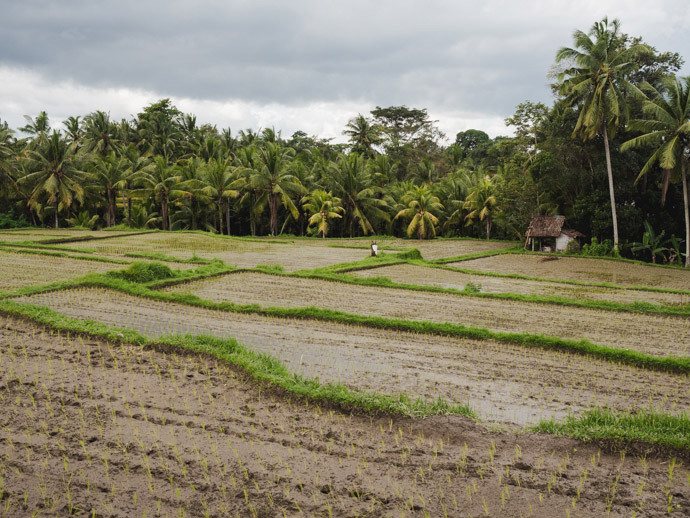 There are rice fields further along the walk near Karsa Kafe but there are other rice terraces and fields that require less walking to get to and are closer to Ubud centre. 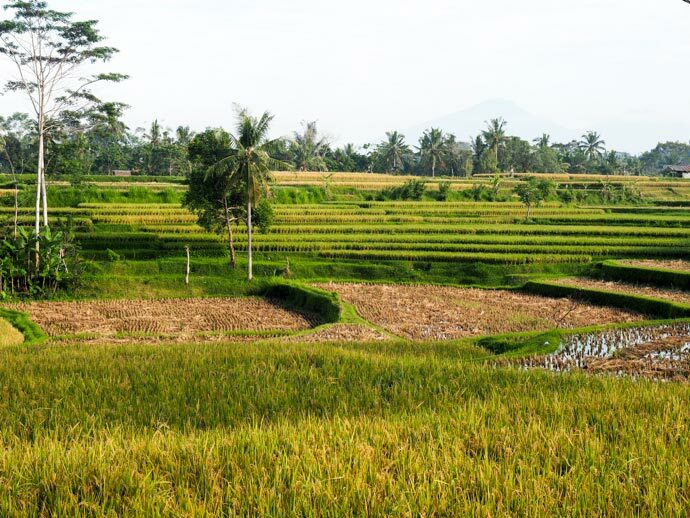 There are also more impressive and popular Rice terraces such as Tegalalang or Jatiluwih. We always try to start the walk as early as we can. As long as the sun is up the earlier the better. The walk is pretty exposed to the elements and gets hot quickly! Start between 6-7:30 in order not to melt too much! At this time you may also bump into a few locals on their morning walk before the sun rises. We have never done this walk in the late afternoon, but the same principle applies of avoiding the sun and enjoying a slightly cooler walk. So either early morning or late afternoon is when to do the Campuhan Ridge Walk. Definitely take some water, you will not get the opportunity until you reach the end. We did not take water the first time we did this walk and wished we had! As mentioned, the Campuhan Ridge walk is exposed to the weather go early morning or late afternoon when the sun is not as ridiculously hot, and also if it looks like a storm is coming it would be best to save the walk for another day. Obviously this will depend on where you are staying. Lets start from the Ubud Traditional Markets on the Corner of Jl. Monkey Forest and Jl. Raya Ubud. Head towards the bridge. If you head from the markets and you walk here (photo below) you are almost at your turnoff. 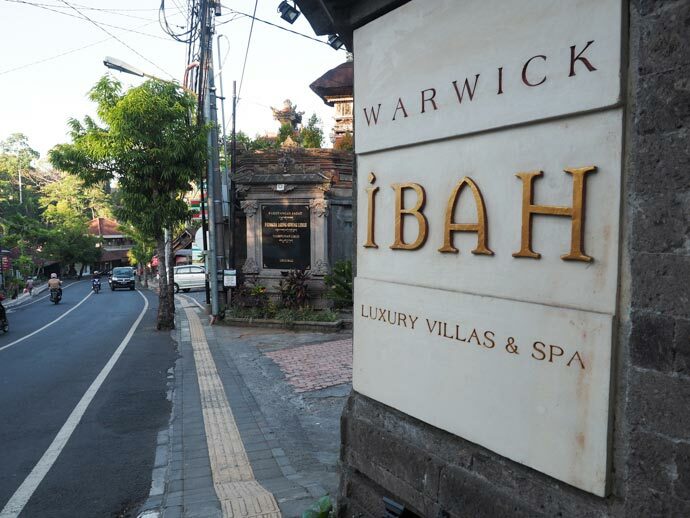 Just before the bridge you will see signs to the Warwick IBAH villas and spa. 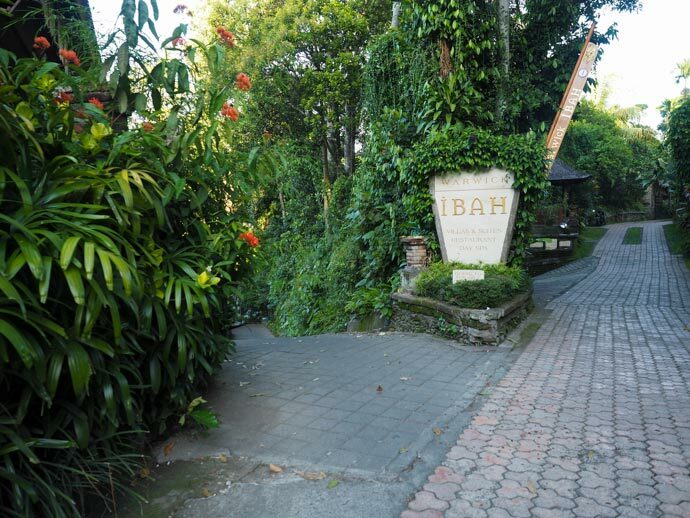 Turn into that driveway area and you will see another IBAH sign at a fork in the road. 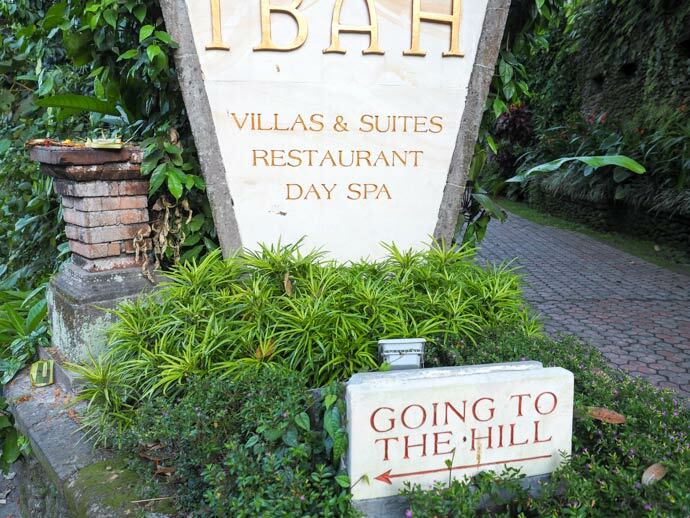 Below the IBAH sign you will see a small sign saying “Going To The Hill” and you will see an arrow telling you to Go Left. At the bottom of the hill you will get to a bridge and stairs. The first time we did this walk there was no sign but now it’s easy to know where to go. 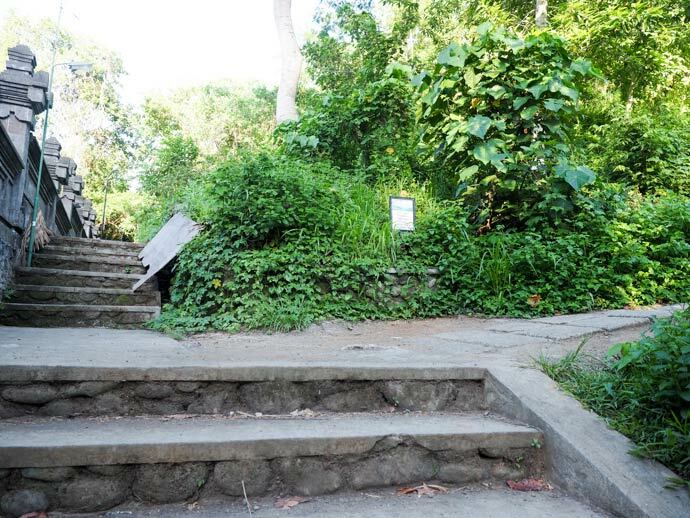 You will see the sign saying “This Way Trekking Campuhan Ridge ‘Karsa Kafe’ 2 Kilometres” Head right down the stairs. 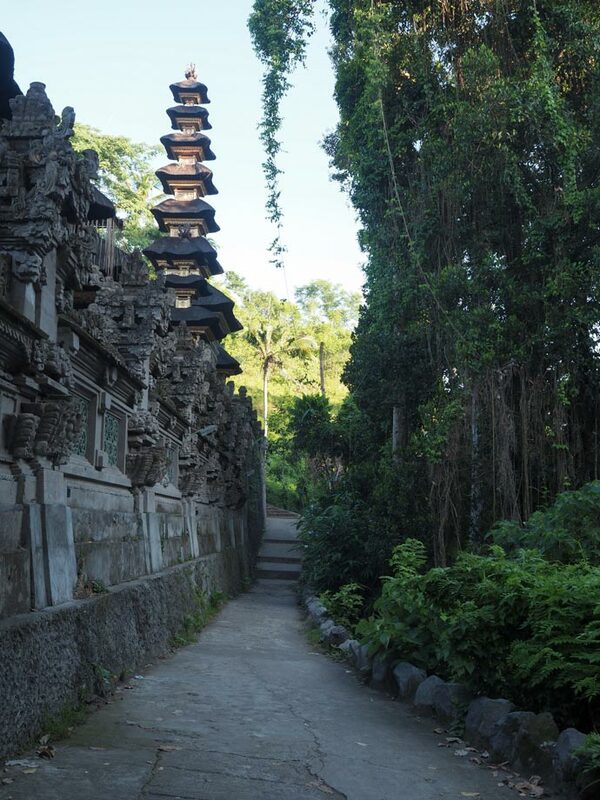 From here you will walk around the walls of the Pura Gunung Lebah Temple, a great example of how beautiful Balinese Temples are. Your last turn until you’re in the clear and cruising along the Campuhan Ridge Walk now has a sign also which helps. Basically as you follow the Temple around you will be given the choice of following the temple or heading off to the right. 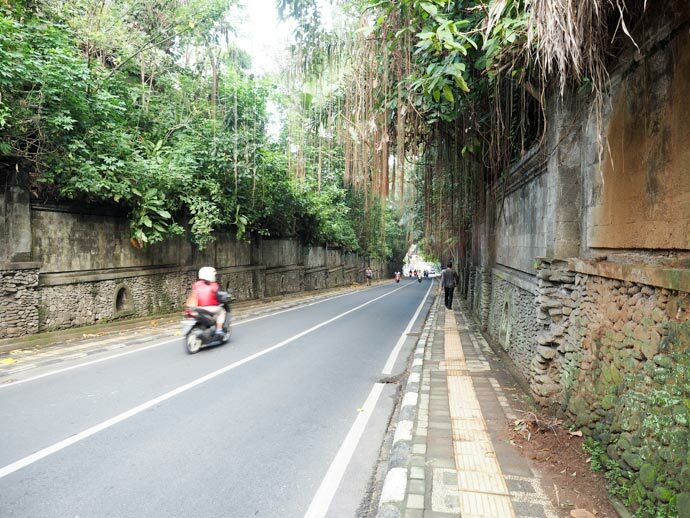 Head off to the Right to begin this great walk in Ubud. 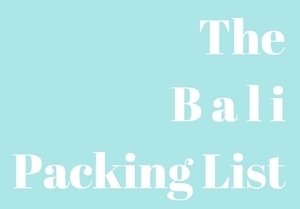 By the time you get to the ‘end’ you will most likely be parched and in need of a refresh. The ‘Karsa Kafe‘ which all the signs refer to is actually quite a nice setting for exactly that. 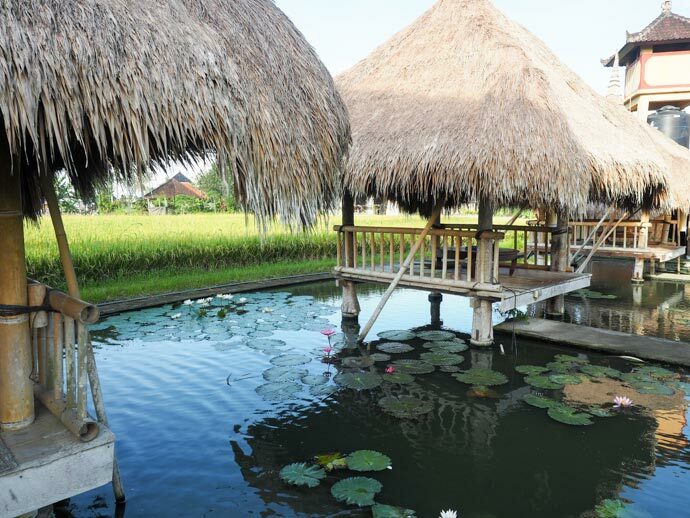 Mandy and I enjoyed a juice in one of the huts out in the ponds, filled with Lotus Flowers. We did not try their food but it was quite nice to get the feet up and cool down after the walk and prepare for the walk back. 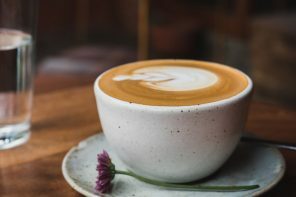 We have heard people continuing the walk past the cafe but considering the walk you just did you need to do again, unless your super curious the Karsa Kafe or 5 mins past is a good point to collect yourself and either stop or head back! 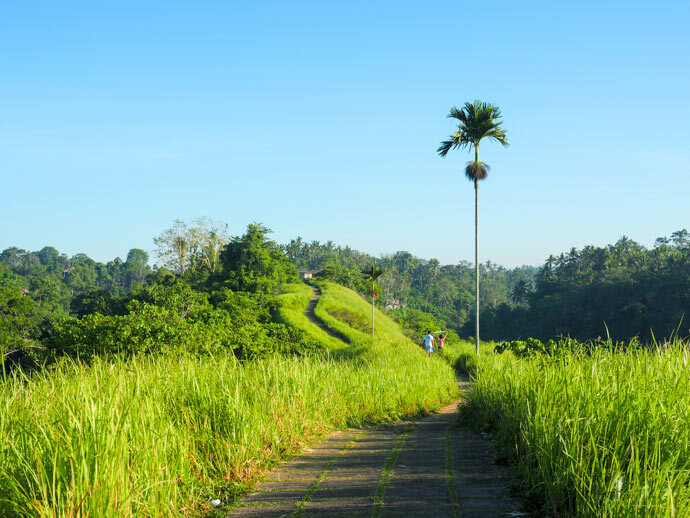 The Campuhan Ridge walk is, in our minds, a must do if you enjoy a early morning or late afternoon walk, or just want to see another beautiful side of nature in Ubud & Bali. This amazing walk is one of the few walks we show you guys (with a map too!) in our Ubud Field Guide. You can find out more about our Ubud Field Guide here. Hi guys, Is it necessary to wear closed shoes on this walk ? Very grateful for your instructions. It was an enjoyable walk and I felt safe as a solo female traveler. Hi Jenny, not silly ;) once you start the walk I walk I would say it is about 25 mins to Karsa Cafe but there are toilets at the warungs and cafes about 5 mins before that. Enjoy! Doing it as I write. Thank you for making me experience this. One of the best walks of my life. Hi James! Hope you had a great walk! So happy to hear you found the directions helpful :) Hope that Coconut water refreshed you for the walk back! Keep enjoying Bali! Thanks so much for your detailed information. Is the security for this walk good enough for a female solo traveler? Thanks for your comment. We’ve found the Campuhan Ridge walk to feel safe :) I would say try to do in the morning when it is not dark and the sun is not too hot! It is a beautiful walk if you have the time you should definitely do it :) Have a great trip! 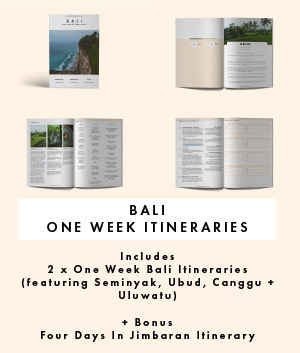 Thanks for your very detailed information, it would be very useful for a single traveler like me who is planing to go to Ubud few weeks later. I have a question, sound silly, but as I am a solo female traveller, is the security good enough for me to make it in late afternoon? And is there any tricky way that could make someone get lost? If you do the walk late afternoon, make sure to bring a light or torch in case it gets dark before you get back to the street. Once you are on the walk it is easy to follow, but the photos above will help you get there. We have never done the walk when it is dark and would recommend getting back to the street before dark. Thanks again for your comments, let us know if you have any more questions! Really useful directions and a great walk. 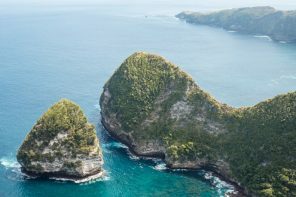 My friends and I followed and have recommended to others on our travel blog – http://www.heylookitsjaz.com/2017/08/bali/ great work guys! 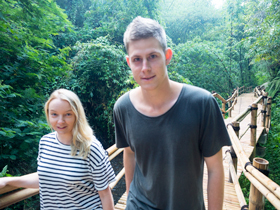 Happy to hear you found the directions useful :) Looks like you had a fun 8 days in Bali! Hi Mandy and Chris! My friend and I did this walk a week ago in the morning. It was really relaxing and we kept stopping to take photos :) We also had a yummy breakfast at Karsi. Would definitely do it again next time, but probably a bit earlier (we started at 9am and it got pretty hot on the walk back). Your directions are really straightforward and I’m really enjoying reading your posts! Thanks so much for your comment we are so happy you and your friend had a great morning :) Karsa is a pretty place to relax before walking back…and taking more photos! hey! is it good also to do it by bicicle?? Thanks Fran, So happy you like this post. Have you done the walk? Or about too? Let us know what you think!